July has been a super crazy month filled with lots of pre wedding fun! To say I'm a little excited about my lil sis getting married is an understatement. I am ecstatic I am a Maid of Honor....um I mean Matron of Honor for the very first time and I am getting to help with lots of planning details, invitation design, parties and a few surprises along the way. It has been a great experience and a whole lot of fun getting to help with all of the planning. 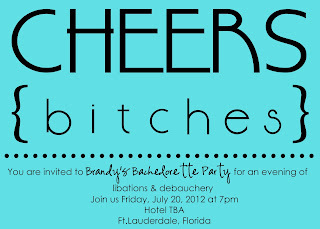 The invitations were custom designed as per the bride's request. If you know my sister you know that these are just her style! While you won't find these as a regular in my shop if you message me I will create them for you! 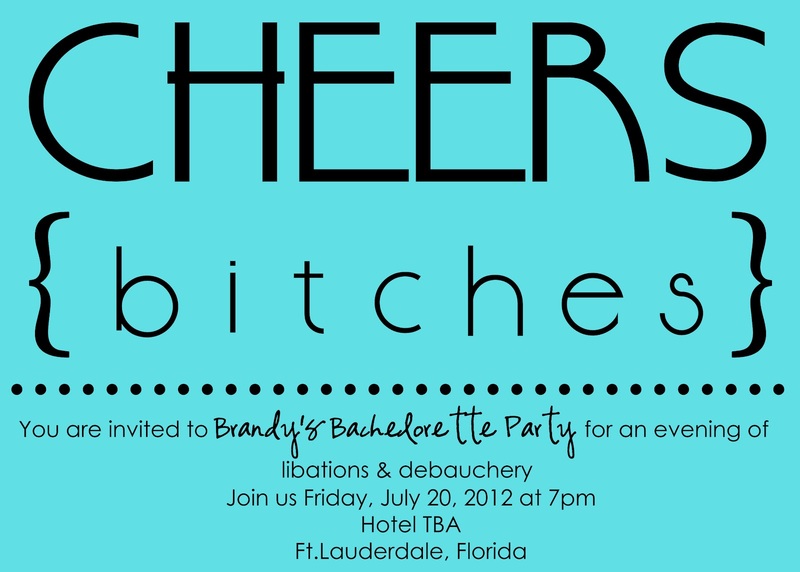 For the Bachelorette Weekend we started it off at a hotel on the beach. It was absolutely gorgeous, great pool, amazing views and comfy rooms. When all of the girls arrived we had a little surprise waiting in the room. Some yummy treats, champagne and party favors! Each of the bridesmaids received a little blue bag with a pair of adorable flip flops designed by the bride-to-be. and a hat to wear pool side. Tags and bags designed by Magic By Marcy. But you do have to keep it a secret! Inside was a mini hand sanitizer and a bottle of " Such a Flirt" lotion from Victoria's Secret. The bags were absolutely adorable and a very welcome treat for her guests. Her guests enjoyed some yummy chocolate treats before heading out for a night on the town! A bride-to-be wouldn't be complete without some flair for her "last fling before the ring!" Her niece Kaitlyn helped Grandma Dee Dee make her a fabulous bridal crown. My little girl wanted to ensure that aunt BB would be letting her have the crown when she was all done for her dress up collection. Feather Boas and some sparkly pins for all completed her Bachelorette attire.